This is the South facing side of the Temple of Inscriptions (Structure 11), which was built by Copan’s last ruler, Yax Pasaj Chan Yopaat. It was completed before the 27th March 769AD, as that is the date he dedicated the mock ballcourt that this side of the building presided over. The whole temple was intended to honour the Underworld and was built to try and stave of the starvation that was hitting the city as the population of 20,000 people could no longer be sustained. 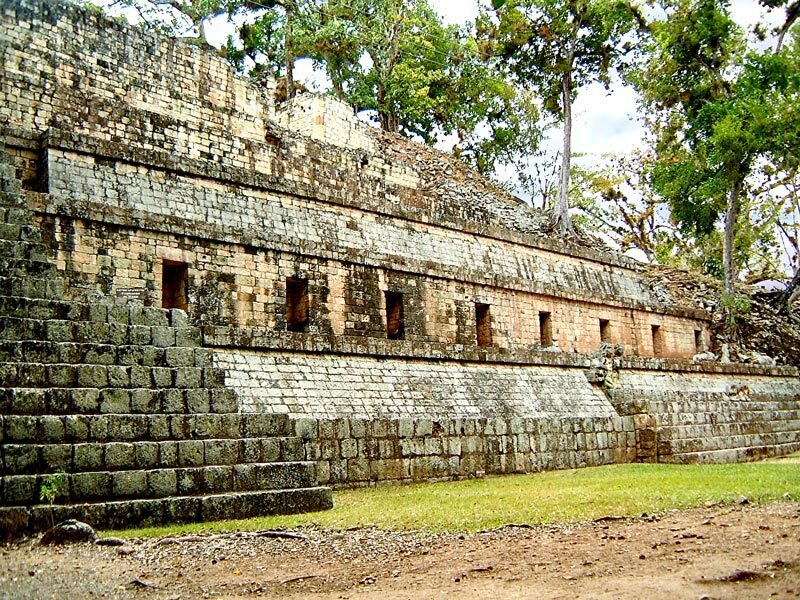 See the article Copán: Temple of Inscriptions for further information.